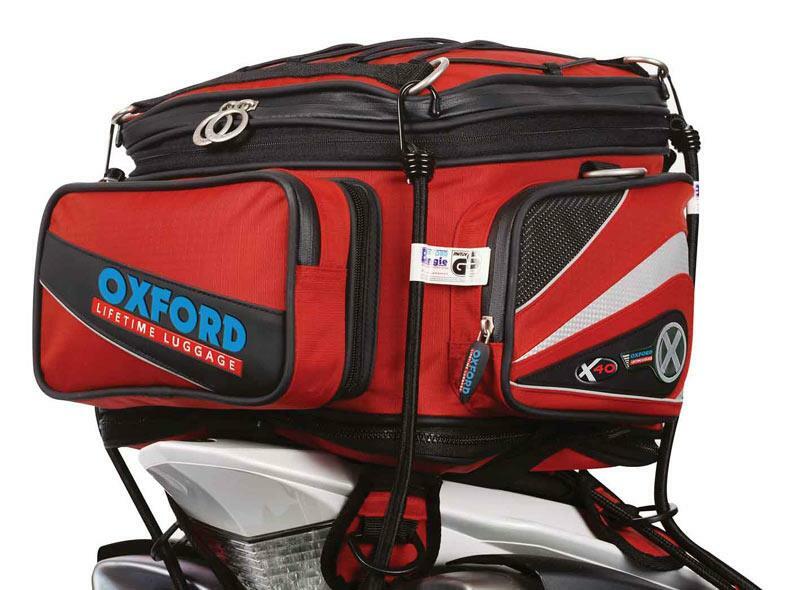 If you’re planning a trip away on the bike this summer, feast your eyes on this lot – the new range of tank bags, tail packs and panniers from Oxford Products. Everything you see here is made from tough Ripstop Nylon, all the tank bags and tail packs come with integral ports for headphones and electrical equipment, and feature waterproof zips. All items are available in either black, red, blue or anthracite. 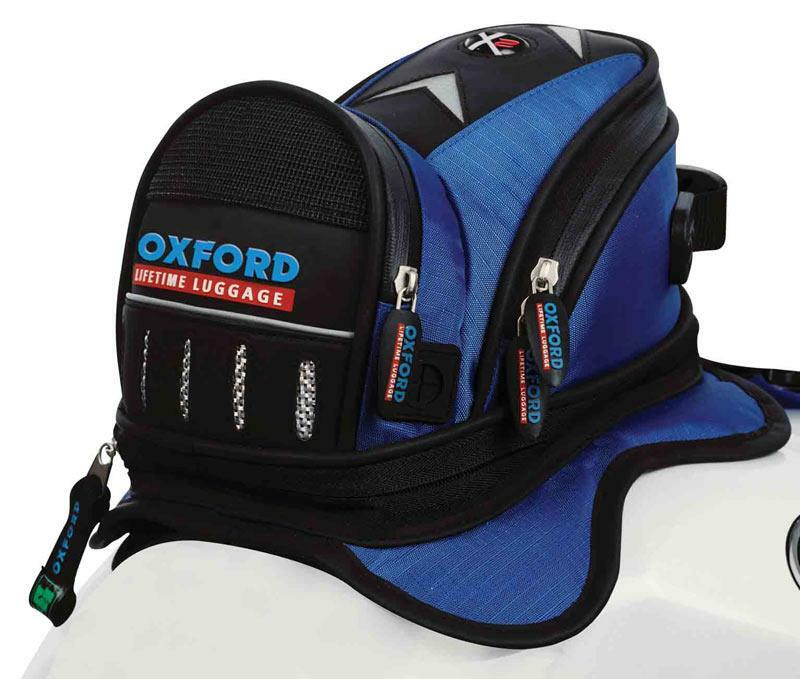 The largest of Oxford’s expandable panniers feature a heatproof base, full-width opening, four side pockets, carry handle, shoulder strap and elasticated netting on front of panniers for smaller items. Expandable to provide 40 litres of storage. Converts into rucksack, base doubles as a mini tail pack, detachable bum bag, two side pockets, carry handle/shoulder strap plus elasticated netting on top and back. 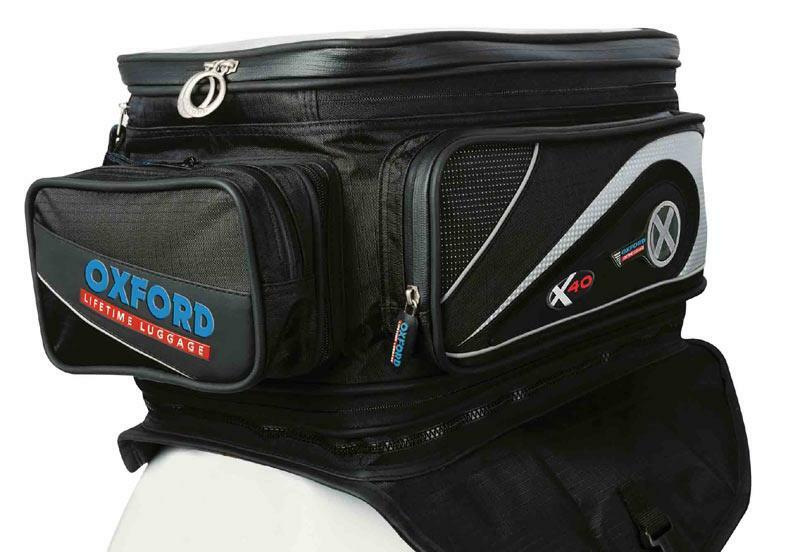 Oxford’s biggest tank bag can be expanded to provide 30, 35 or 40 litres of storage. Converts into rucksack, base doubles as map holder (there’s a second map holder on the top the bag), detachable bum bag, two side pockets, multi-magnetic fastening to bike, carry handle/shoulder strap. Integral satnav holder under map holder. 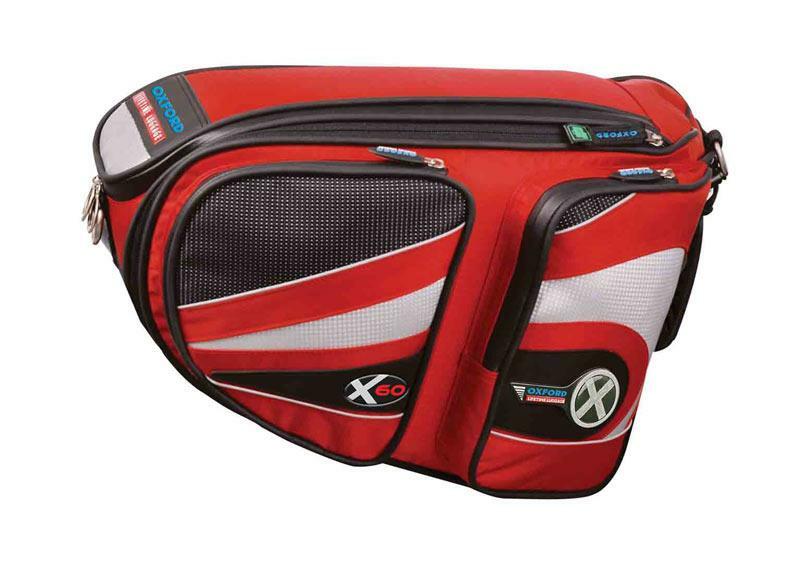 Can be used as both tank bag and tail pack; designed for carrying essentials. 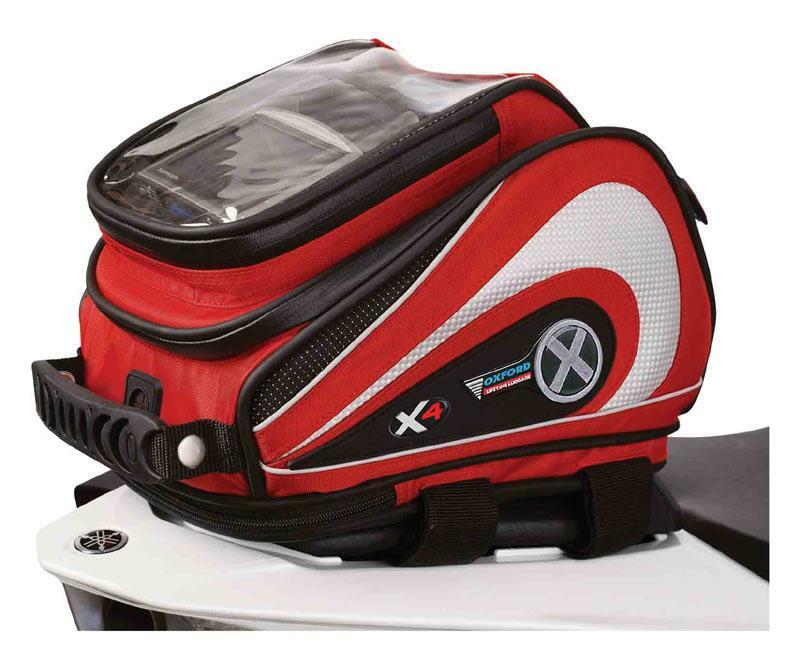 Magnets allow use as tank bag, while adjustable tail pack fitting system is included. Includes carry handle. The firm’s smallest tank bag is claimed to fit on steel tanks where no other will, thanks to its unique shape and size. Capacity grows to two litres by way of an expandable section. Includes multi-magnet fixing, headstock strap for added peace of mind, front pocket and carry handle.